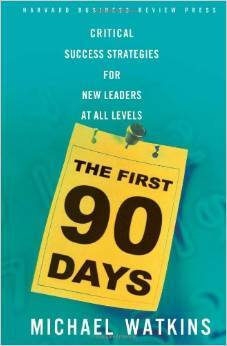 Bestselling book The First 90 Days: Critical Success Strategies for New Leaders at All Levels by Michael Watkins is a coach in a book on how to navigate a new job, new position or supervise new staff members. It’s a handbook for leaders who are transitioning into new positions. Missteps that occur in the first three months can be extremely difficult for new leaders to recover from. Implementing this book into an onboarding process benefits the individual as well as the organization.